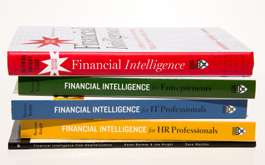 Business Literacy Institute has purchased FinanceDog to bring you better content as you bone up on your financial intelligence. We’ve doubled the Financial Concepts and made it easier to find the concept you’re looking for. Pull up all the financial concepts on your mobile device the next time your finance department is using terms you don’t understand.